An annual guide entitled The Green Book was published from 1936 to 1966 to serve as a reference for African-Americans on road trips during the era of Jim Crow laws. Peter Farrelly’s latest film Green Book follows two men on a concert road trip who have to rely on this guide while touring the Deep South. 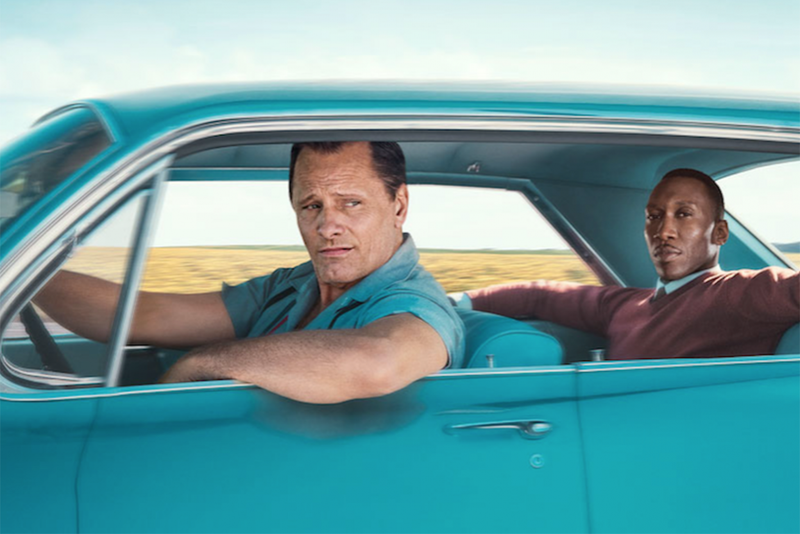 Viggo Mortensen, Mahershala Ali, and Linda Cardellini star in this 1960s period piece about two men who build an unlikely bond while facing racism from every corner. If you thought this would be another Oscar-bait film about racism in the Deep South, then you’re just about right. However, just because a film is formulaic and checks off every cliche in the book doesn’t mean it’s not entertaining. The glossy film is a standard road trip movie by half the team that brought us Dumb and Dumber. Farrelly does well in directing the comedic moments of this film, but he also shines in setting up the more dramatic parts as well. Sure, he sometimes borrows too much from familiar dramatic effects in cinema, especially when one character walks in the rain to deliver some award-worthy lines, but it still works. The script is generic, but it does manage to present two likable characters and build a believable relationship. Of course, there are some liberties taken with the true story, but it’s packaged as a feel-good film and that’s exactly what you get. It’s not out to make a bold statement about racism, as it merely acknowledges the difficulties in dealing with it, as it’s more so a film about the development of a friendship between two different men. Gaining a considerable amount of weight and mastering a New York accent, Mortensen immerses himself well into the character of Tony Lip, an Italian-American driver and bouncer. He plays Tony as a likable simpleton with a talent for bullshitting, devouring food like a bear, and solving/creating problems with his fists. Mortensen is charming and magnetic as the motormouth Tony. On the flip side is Mahershala Ali as Dr. Don Shirley. Ali is one of the best actors working today and he is completely convincing as the genius pianist who has shaped himself to be proper and polite. There’s not a violent bone in his body and his morals are as clean as his piano. However, he does have a troubled past, which keeps him on a solo drinking act nightly, adding to the weight of daily discrimination he has to deal with. Sometimes the character of Dr. Shirley is oddly reminiscent of Carlton Banks from The Fresh Prince of Bel Air (or is that just me? ), but that’s not necessarily a bad thing. The film wouldn’t work if Mortensen and Ali didn’t click, but their chemistry onscreen is heart-warming. 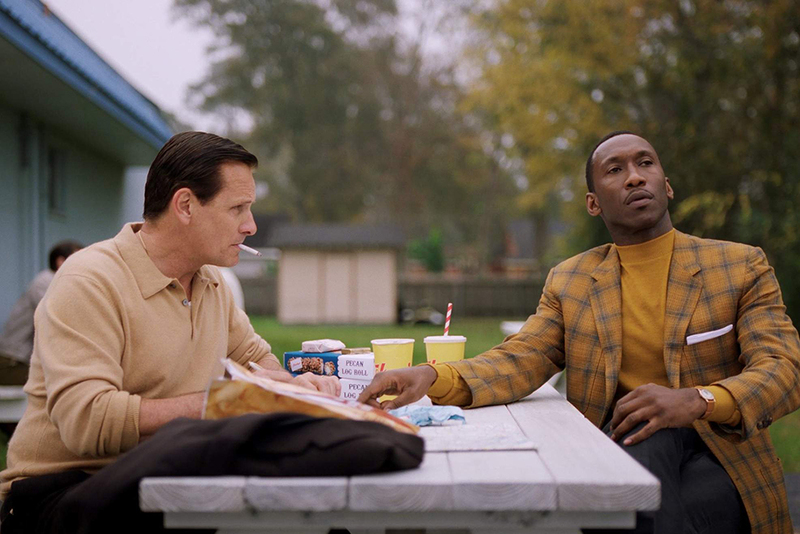 Green Book is a shiny film with a cut-and-dry story. You pretty much know where it’s going, but it’s worth the ride anyway. Tony Lip and Dr. Shirley are two complex individuals played masterfully by Mortensen and Ali, elevating this standard film to be better than it is on paper.